Pitch Dark Courtney Alameda, February 20, 2018. Published by Feiwel & Friends. 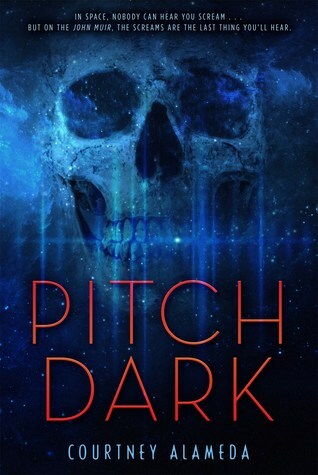 Thought I would continue the scary book theme with Courtney Alameda's newest horror book Pitch Dark! Even though I was not super impressed with Shutter, I am excited to give her new book a chance. Right now, I'm in the mood for mystery books and horror books, and this one sounds like it could fill that 'scary' book criteria (maybe). Have you read Pitch Dark or Shutter? Thoughts??? There's Someone Inside Your House by Stephanie Perkins, September 26, 2017. 289 pages. Published by Dutton Books for Young Readers. Source: Borrowed from Library. The egg-shaped timer was on the welcome mat when she came home. Like last week's review, this was another book that I had been looking forward to reading that, well, fell short of my expectations. It's not that I hated the book, it's just that it was not as good as I was hoping it would be. 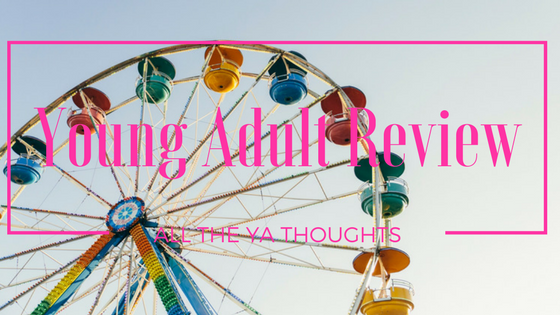 After mystery and fantasy books, thrillers would be my next favorite genre to read, so, I, of course, was super excited that a new YA thriller was going to be released. There really don't seem to be many of them or at least not that make a big enough splash in the book community to cross my path. 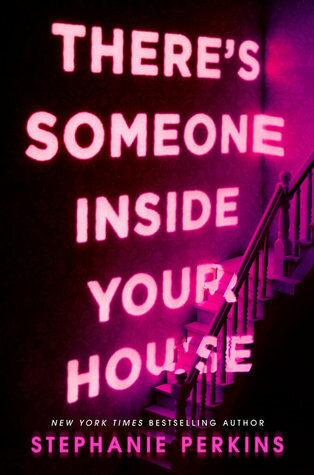 Before I talk about what I did not like about There's Someone Inside Your House, I want to discuss what I did like about the book. Okay, so, Stephanie Perkins' totally nailed the thriller vibe with the intense scenes surrounding the murders. I thought she did an excellent job creating a tense atmosphere that captured the essence of the thriller genre. Even though I felt that she excelled in the intense scenes, I must say this, I seriously disliked Makani and Ollie for the majority of the book. I just did not like them as characters nor as a romantic item. What really bothered me about Makani was her attitude. Sure, she had been through a lot, between her not so great family and what happened prior to her arrival in Nebraska, but I can only tolerate the "poor me" attitude for so long. About the only time, I liked her, as a character, was at the tail end of the book. Now that almost completely made up for her less than great personality. I know this was supposed to be int he vein of teen slasher movies, but I really felt that the romance between the characters took too much away from what could have been a great book. Now if the story had continued more into the psychological angle mixed with the intense atmosphere, then it would have been a four-star read. I'll be honest here, I have never liked teen slasher movies. I have always found them to be rather cringe-worthy and not worth my time. While I may not be big on contemporary reads, I did really enjoy Anna and the French Kiss, so you know I was intrigued to see how she would handle writing something as different as There's Someone Inside Your House. I still enjoyed her writing in this one, just more when she was setting the scene for the dark, gruesome moments as she really did those scenes justice. Did I figure out who did it? Yes, but that's just because I'm me. That's what I do. I would really love to see her do a straight-up horror story! I think she has potential with how well she did on the darker scenes of the book. Final Verdict: There's Someone Inside Your House- One the one hand, I was pleasantly surprised by how chilling some of the scenes where. There were definitely some intense and chilling scenes throughout the book. On the other hand, I was disappointed with the characters, Makani's big secret, and could have done without the romantic relationship between the two characters. A copy of this book was borrowed from the library. 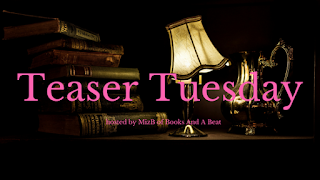 This week on Spinning Pages take us to California where to opposites are thrown together in hopes, at least by their parents, that a connection will be made. Keep reading to see which song and book will be this week's feature!! There were maybe five songs I could have selected for When Dimple Met Rishi, but I decided to go with this one because it reminded me of all those moments early on in the book, before things happened, where the little things made them think 'maybe it could work', you know. I also love a good excuse/reason to use a song I love in these posts!! 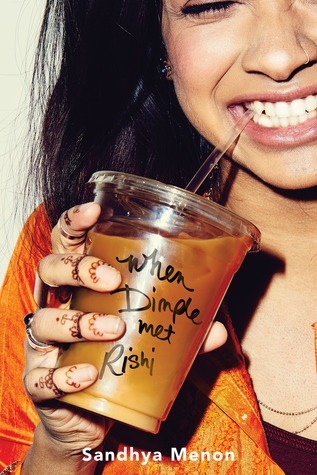 You can see my full thoughts on Sandhya Menon's When Dimple Met Rishi by checking out my review!! Don't forget, you can watch (probably cry over if you know Selena's story) the music video for I Could Fall in Love!!! Since the end of colonization Africa has struggled with socio-economic and political problems. These challenges have attracted wealthy donors from Western nations and organizations that have assumed the roles of helper and deliverer. While some donors have good intentions, others seek to impose their ideology of sexual liberation. These are the ideological neocolonial masters of the twenty-first century who aggressively push their agenda of radical feminism, population control, sexualization of children, and homosexuality. 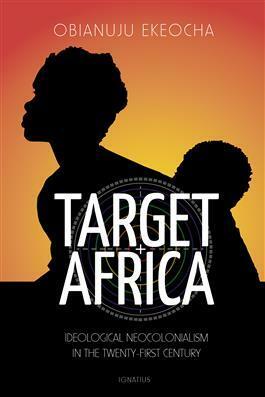 The author, a native of Nigeria, shows how these donors are masterful at exploiting some of the heaviest burdens and afflictions of Africa such as maternal mortality, unplanned pregnancies, HIV/AIDS pandemic, child marriage, and persistent poverty. This exploitation has put many African nations in the vulnerable position of receiving funding tied firmly to ideological solutions that are opposed to the cultural views and values of their people. Thus many African nations are put back into the protectorate positions of dependency as new cultural standards conceived in the West are made into core policies in African capitals. This sounds like a very fascinating read! One that I really want to delve into because it is written by a native of Nigeria, so, in my opinion, that makes it all the more interesting because it's more of a first-hand account then you would get if, say, someone from America wrote it. When Simple Met Rishi by Sandhya Menon, May 30, 2017. 380 pages. Published by Simon Pulse. Source: Borrowed from Library. I am disappointed to say that I didn't like When Dimple Met Rishi as much as I was hoping. I knew going in that it would be dicey, as you probably well know that I don't generally read contemporary books, but I decided to give it a chance anyway because it sounded like a cute read. From everything I had heard about this one, it sounded like it was going to be a cute and fun read. You know, a quick read. While it was a quick read and had moments that I enjoyed, it was not nearly what I was expecting in the long run. So, let's talk about the 'good' and 'bad' points now, okay. What I did like: Well, I really enjoyed the family dynamics, though I would have loved for their to be more moments with Dimple and Rishi's families, and how different they viewed their families concern for their happiness. Though, in that regard, Rishi became my favorite because it was interesting to see him learn to balance his 'wants' with that of his parents. Dimple...well, while I liked her passion for app building, but her attitude, well, I'll just say this, it did nothing to endear her to my reader heart. Even though I enjoyed Sandhya Menon's writing and the easy way Dimple and Rishi got along, my biggest problem with this book was Dimple herself. I wanted to like her, because who doesn't like someone who steadfastly pursues their dream, but her whole persona made me sad for her. Why? It was predominately how it felt that she had to deny, was embarrassed, her culture in order to chase her dreams; that made me sad. Though I can see how Dimple had a lot to work through in regards to reconciling both her dreams and the expectations of her family. While I may not have enjoyed the story as much as I was hoping, Sandhya Menon's writing was really good. I just couldn't connect with the excessive romance angle (not my jam, you know), but I really enjoyed the bantering between Dimple and Rishi and their families. I am definitely looking forward to more of Sandhya's writing in the future as she has a really great ability to tell a story (even one you find yourself not completely sold on). Final Verdict: When Dimple Met Rishi- It had both good and bad points...but I would not rule out reading something else by Sandhya Menon in the future. 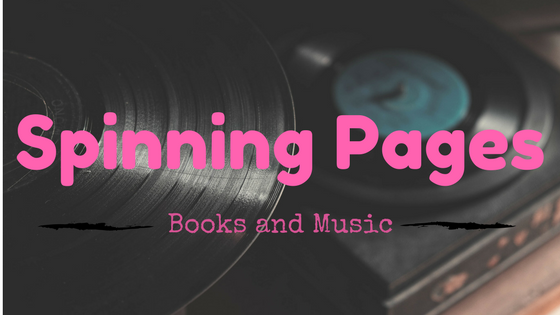 This week on Spinning Pages take us to the world of Croswald and its hidden world of magic and mystery. Keep reading to see this week's song and lyric selection!! I have been contemplating which song would be best fit The Crowns of Croswald, and the song that came to mind, before any other, was the Dixie Chicks' Wide Open Spaces as it made me think of Ivy and how her world suddenly exploded with new potential as she was forced to live the only place she knew. To me, these lyrics perfectly capture that feeling. I also really like this song, too. You can see my full thoughts on The Crowns of Croswald by checking out my review. Don't forget to give the song a listen!! The village, well, it had a lot of secrets. 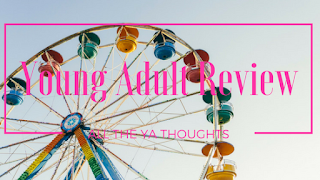 Hey there, ready for some reviews from books I read last year? Good, because I have quite a few in need of coverage! Like this one by D.E. Night! First off, I read this one mostly during NaNoWriMo, so I'm a little fuzzy on character names and a few of the finer points of the plot at this point in time. So bear with me as I try to get my thoughts out in some semblance of order. 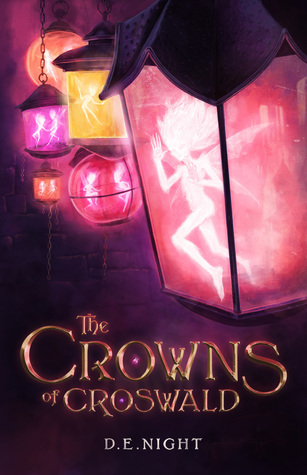 The Crowns of Croswald was an interesting read; one that I found myself enjoying the world the author had created, though it took some time for the story to really pull me in. It was a good hundred pages or so before I really connected with the story and with Ivy. Mainly because it felt like it took too much time to get to what really made her different, though it was easily deducible. While I can appreciate trying to keep certain plot points under wraps, it felt like certain things were kept too tightly concealed. There were things, spoiler things, that Ivy should have found/figured out earlier on in the story. Even though some of the pacings seemed off, I did find myself enjoying the writing and story that D.E. Night created. I particularly enjoyed the world that was created; it had some very unique qualities that made it spark with life. I wish I could do the world justice in my review, but know that I cannot. The biggest thing I can say, it was quite enjoyable to see the many layers of the world, especially the school and the two courses (or tracks) to be taken by the different students, it was interesting to see how they went hand in hand and how one could not work without the other. Alas, I have run out of words to adequately speak about one of my favorite aspects of the book. As for Ivy and her new friends- Well, there were times when I really enjoyed reading about Ivy and her new life, she started out as a scullery maid, but there were also times when she felt way too dense to figure anything of merit out. Don't get me started on the boy (whose name I cannot remember) who knows way too much and tells way too little. It was one of the books where one moment you like the characters, and the next, well, the next you just want to 'bop' them upside the head. Final Verdict: The Crowns of Croswald- Equal parts fun and frustrating. Yet, the world within made it all worth it. A copy of the book was received from the author for review consideration. All thoughts are my own. This week on Spinning Pages to us deep into a contest to determine the world's greatest detective where things go from bad to worse as the game takes a deadly turn. Can you stop it? Can you? 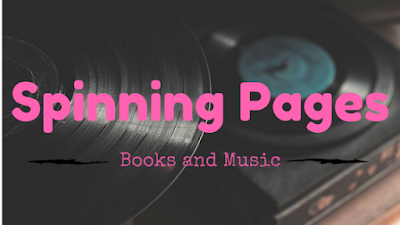 There were a few different (vastly different) songs that I had in mind when putting this post together; any of which could have worked well with Caroline Carlson's newest MG book. Yet, it was the above lyrics from Dreamcatchers Chase Me that made me choose it above the rest. I really liked the way the lyrics reminded me of Toby and the darkness that has followed him since his parents went missing. It also reminds me how Ivy turned his already crazy world upside down with her antics. I guess you could say that when it came down to it, this, in my opinion, was the only song that would work for The World's Greatest Detective. 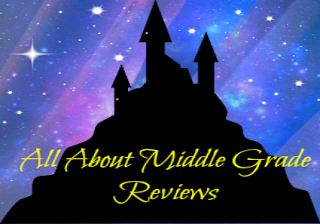 You can see my full thoughts on Caroline Carlson's The World's Greatest Detective by checking out my review! Don't forget to give Dreamcatcher's Chase Me a listen. The music video's pretty awesome, so you should definitely watch it, as well!!! The World's Greatest Detective by Caroline Carlson, May 16, 2017. 368 pages. Published by HarperCollins. Source: Publisher. Most people who made their way to Detective's Row were in trouble, one way or another, and Toby Montrose was in a heap of it. 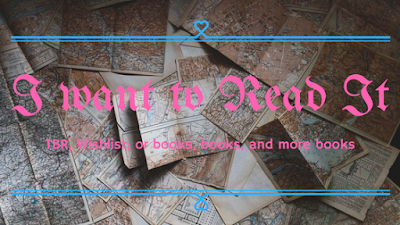 Even though I haven't finished her (awesome) The Very Nearly Honorable League of Pirates series (yet), I already know that Caroline Carlson was going to be on my list of authors to keep reading. Thus far, I have loved all everything I've read by her!! From the moment I cracked open The World's Greatest Detective, I knew it was going to be one I would love. Why? First, there was the world's greatest mystery angle, it was intriguing and reminded me somewhat of reading a classic mystery (and we all know how much I love those, right!). I really liked how the scene was set with some background on Toby and how he came to be living on Detective's Row. Let me not forget to mention the setting! I'll have to get into that more in a bit, but SO much to say!! I felt like the setting was a nod towards classic mystery books and the Whitechapel murders. Which I thought was pretty neat, who am I kidding, I loved that. Yes, this book made my mystery-loving heart oh SO happy!! As someone who adores mystery books, I must say that I really loved the build-up surrounding the mystery that Hugh Abernathy created for the challenge. It was well thought out and all the little pieces that went into it were really fascinating; though I did guess early on what was actually going to happen, it was still really cool to see how the answer would be discovered. If I could tell you all the reasons that you should read this book, based on the mystery, then I would probably ruin the entire book for you. Why, because I enjoyed all the twists and turns the plot took; that and I just really enjoy dissecting mysteries and discussing theories. One of the things I'm discovering, Caroline Carlson has a way with characters and making a reader, at least me, really want to see them succeed. From the moment the book started, there were two things I wanted to see happen. One- for Toby to find out what happened to his parents. It felt like until he could face his past, that he would never be able to fully move forward with his life; that and I really wanted a solid answer as to what happened. Second- I really wanted him to find happiness. He was just such a solidly written character, if I'm honest, all the characters were, that I could not help but hope for all the best for Toby and his uncle. Seriously though, if you enjoy great character arcs and fascinating dynamics between characters, then you really do need this book. 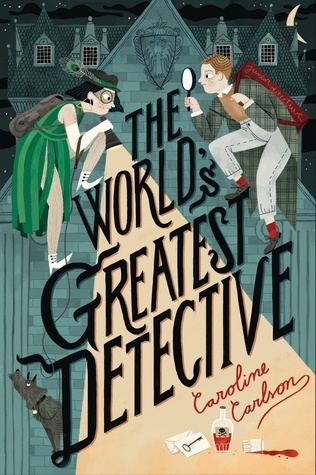 Final Verdict: The World's Greatest Detective- If you're looking for a good old murder mystery, middle-grade style, then this is the book for you!! SUCH A WONDERFUL BOOK! !